There's no doubt about it, autumn/winter is truly here. I'm back in tights, the ankle boots are out and I am contemplating my next knitwear putchase whilst my summery clothes have been stashed away for another season. With this in mind, I couldn't help but take a look at one of my favourite brands, Betty London, on Spartoo as their new season drop is on point! Feminine, sophisticated and casual are buzzwords around this brand and I think these fit their aesthetic perfectly. 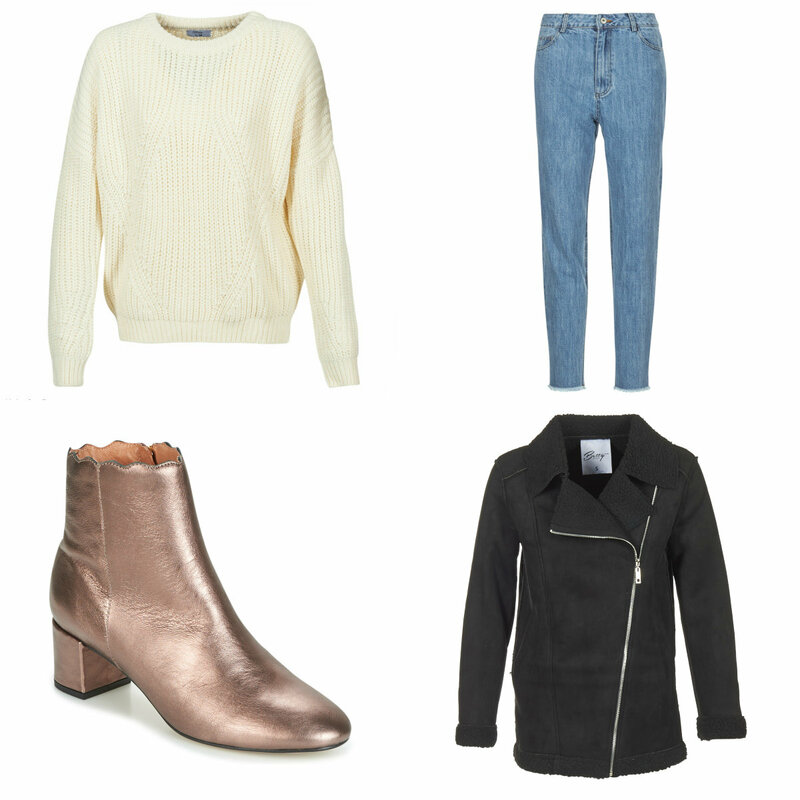 The slouchy knitted jumper would look so chic worn over these beautifully distressed, pencil straight jeans, and the metallic ankle boot adds a futuristic feel to a basic outfit. Of course a coat is a must, and a faux shearling biker style is a wardrobe mainstay, suitable to throw on over denim or to add edge to a pretty dress. Each of these pieces makes a modern statement whilst also being easy to wear; the cuts and fabrics err on the side of luxury and make even simple styles sing. I bought a couple of pieces from the brand back in the summer and I loved that they just slotted into my wardrobe with ease, the brand definitely benefits from that 'je ne sais quoi' that French fashion has so effortlessly. It's fair to say I will invest in a couple more styles for my winter wardrobe!